The definition of “Old Florida” is more than what the magazines and newspapers describe. It’s not just quaint fishing towns and hole-in-the-wall seafood restaurants. It’s more than sepia-toned postcards and big houses with wrap-around porches. This is only one picture of Old Florida. 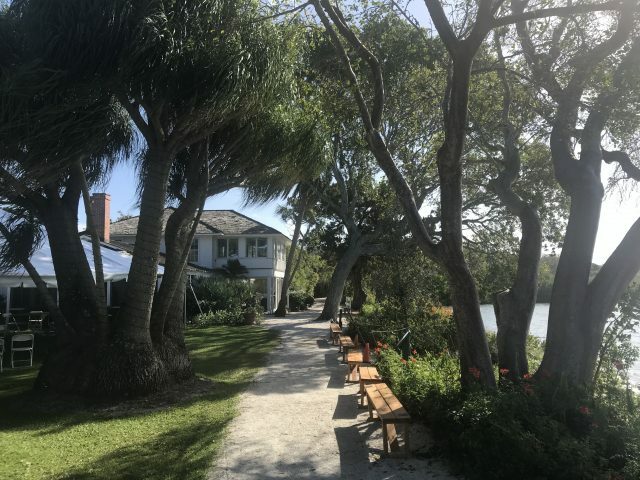 Old Florida might also be “when Spanish conquistadors founded St. Augustine or the rustic pioneer era of the 1800s when cattle ranches spanned the state,” according to the Sarasota Magazine. Old Florida is not only the kitschy 60s and 70s, but also the days of the pioneers, the settlers and the indigenous people who came before them, forced off their land by those same settlers and pioneers. 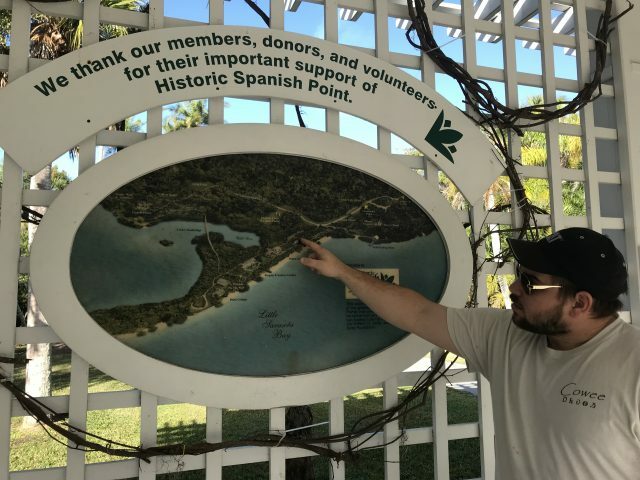 A picture of Old Florida emerges at Historic Spanish Point, a stretch of land in Sarasota County that spans 30 acres and 5,000 years of human history. Curator and Education Programs manager Garrett Murto (‘12) took me around the property early one morning. Historic Spanish Point has organized its history into the three P’s: Prehistoric, Pioneer and Palmer. This one area has been witness to thousands of years of human history, beginning with indigenous peoples who settled the land. Although the time periods are distinct, the P’s overlap each other geographically: indigenous people constructed the middens, which the pioneers built on top of and eventually Bertha Palmer bought the land and created her estate. One of the middens is estimated to be 4,500 to 5,000 years old, and falls within the Archaic period of American archaeology. “This midden is a trash pile, something that’s the result of the daily living of these ancient people who lived thousands and thousands of years ago,” Murto said. As they harvested shellfish, it allowed them to build up a 10 foot hill that traverses the property in the shape of an ‘U.’ According to Murto, the curvilinear shape for this archaic time period is extremely rare. There are only around 80 other discovered sites in the country so far, all within the coastal Southeastern United States. Of those discovered “maybe half of those are still in existence, that are intact, and incredibly less are available to the public,” Murto said. The archaic midden site at Historic Spanish Point is impressively intact, thanks to its later owners. In the early to mid-20th century, when the roadways were being constructed across the state, many landowners with shell middens on their property sold their land to developers, because the shell was a great layer to build roads upon. The Webbs, who owned the land beginning in 1867, followed by Bertha Palmer in 1910, never sold to new developers. Bertha Palmer’s relatives would eventually turn the property into a museum, thus preserving the shell middens for generations to see. The Webb family was the second American family to move to Sarasota, in 1867, one of the many families that took advantage of the Homestead Act. Webb is credited with coming up with the name Osprey, the name of the town today. After they moved here, John wanted to have a Post Office on the property, because the Post Office in Sarasota County was too far away. Osprey became the nucleus for development along the coast. Jack Webb, one of John Webb’s sons, built the White Cottage in 1885. They called the house “the dormitory” and rented out rooms for $35 a month. In many ways, this was the beginning of hotel business in Sarasota. 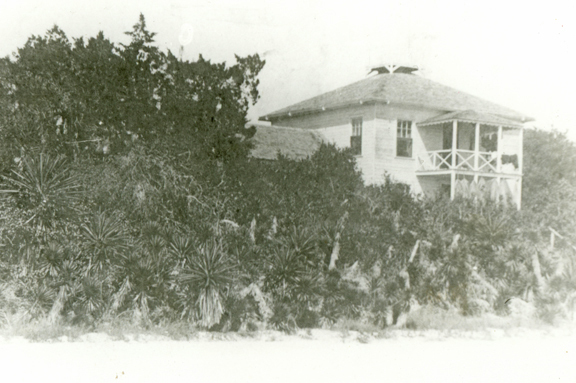 Bertha Palmer moved to Sarasota County in 1910, eight years after her husband, Potter Palmer, died. She was a Chicago socialite, and, as fate would have it, an incredible businesswoman. She lived in Sarasota for eight years, but in that time she managed to build a small empire. Many credit her as being the catalyst for the development of Sarasota. She purchased the land from the Webb family and more land along the bay and built her mansion here, “The Oaks,” which no longer exists today. Before her husband died, he left her eight million dollars “with basically the statement that, ‘Oh, my wife has expensive tastes and whatever man she marries after me is gonna need a little help out.’ But what she actually did is take that eight million dollars, come here to Florida, invest it into this area, into this county in particular, and within eight years, when she died in 1918 from breast cancer, she had turned that eight million dollars into 18 million dollars,” Murto said. She was “a woman in a man’s time,” according to Murto. 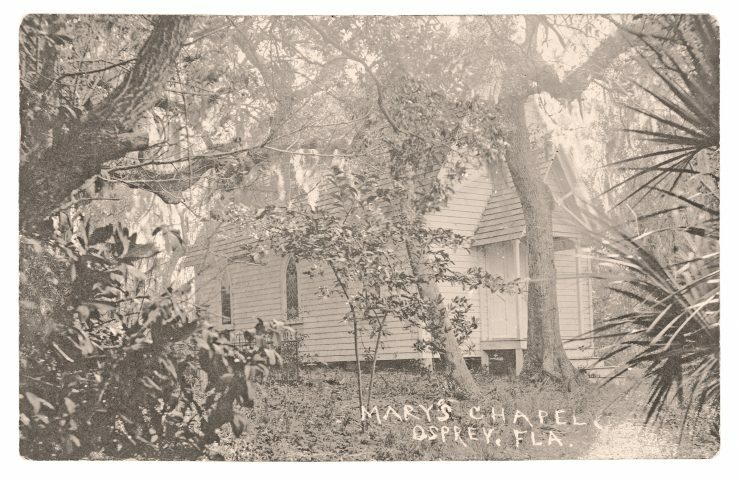 Towards the end of the interview, Murto told me the story of the Chapel on the property. Mary Sherrill was one of the guests staying at the White Cottage. She had tuberculosis and her doctor suggested she visit Florida, in hopes the warm weather would help her. She came down in 1892. Sadly, within five weeks she had passed away at the age of 25. 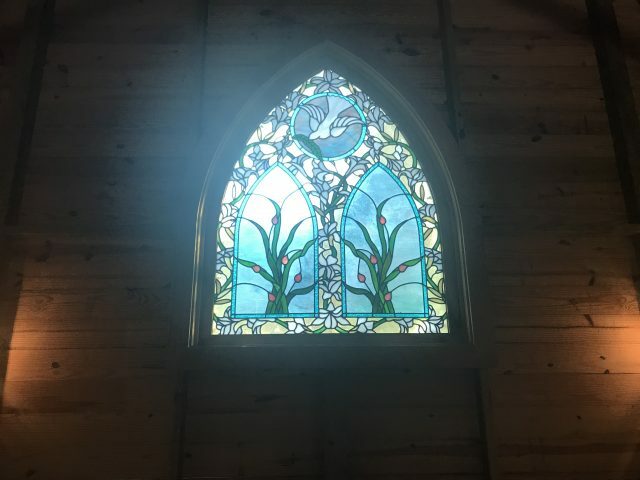 Her last request was that a chapel be built in her honor. One of John Webb’s sons, William, pioneered the construction. 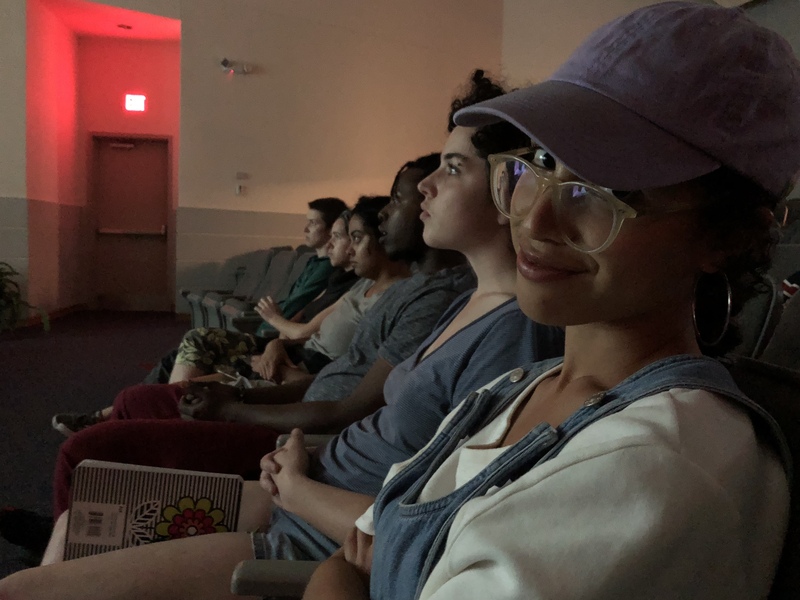 William and his team coordinated with her friends and family in Kentucky and her classmates at the New England Conservatory of Music, to raise funds for the chapel, all by post mail. It took three years, but it happened. Murto sees it as one of the first acts of philanthropy in the county. Old Florida is not the idyllic version that most magazines advertise. Old Florida encompasses every time period: not just the 20th century, but all the way back to when the very first peoples lived on the land. As Murto said, Old Florida is the stories of these people and of how they lived together. “The essence of the human experience of community has existed for thousands of years and you can see that here at Historic Spanish Point,” Murto said.